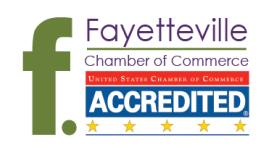 The Find it Fresh luncheon is organized by the Fayetteville Chamber of Commerce Green Business and Urban Agriculture Committee. The luncheon is an interactive, educational and delicious experience, designed to create awareness about edible responsibility; in terms of consumers buying local products and the benefits of that practice. Join us as we enjoy farm fresh food lovingly prepared by local chefs while acknowledging all our local farmers do for us. A portion of the proceeds benefit a Bumpers College scholarship for University of Arkansas agriculture students. 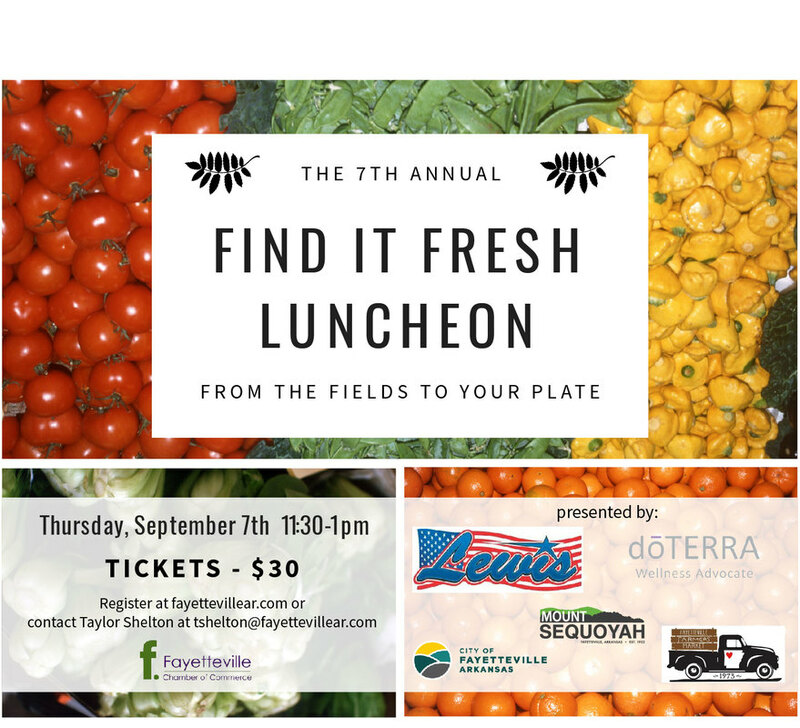 The 2017 Find it Fresh Luncheon will be on Thursday, September 7, 2017 from 11:30 AM - 1:00 PM at the Mount Sequoyah Center on 150 North Skyline Drive. Tickets are $30.